This is a phenomenon that I haven't taken the time to see. This has become a huge event over the past few years in the Great Smoky Mountains. In order to see the fireflies synchronize their flashing (part of their mating ritual), you have to park at the Sugarlands Visitor Center and take a shuttle to Elkmont. You also need to have a reservation, or you won't get in the parking lot. The tricky part of the event is that there is only a rough estimate of when this will happen. There is a 2-week window, usually the 1st 2 weeks of June, when you can see it. And, just because they start doesn't mean you're going to be able to see it. Temperature, the moon phase, and rain can hamper how well they can be seen. There are only 2 places in the world you can see this: In the Smoky Mountains, and in Asia. When you watch the video, you will see the males flashing first, then the females. The fireflies die after mating. Coolest thing ever. I've not heard of this….so neat! I've never heard to this. How interesting. Thanks for the video, that would really be interesting to see in person! That is amazing! It would be something to see in person, although I don't know if I would want to chance going there and not being able to see it. Wow! Really neat. I never knew this! 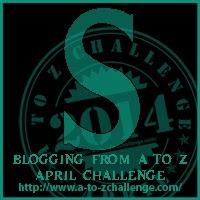 I am visiting from the A to Z challenge and am so happy to find your blog! The Smoky Mountains is our favorite vacation spot. We visit several times a year. I can't wait to read more!